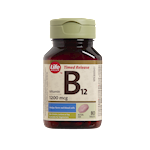 Overview: Vitamin B12 is an essential water-soluble vitamin that performs a wide variety of energy and blood related functions in your body. 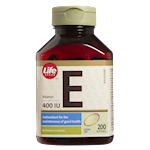 These Life Brand fast dissolving sublingual tablets offer a convenient way to supplement your diet with a higher 5000 mcg dose of B12. Even better, they are specially formulated to dissolve quickly under your tongue. 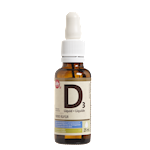 Benefits: Helps the body to metabolize carbohydrates, fats and proteins. Helps to form red blood cells. 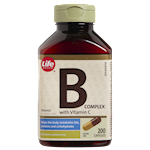 Helps to prevent Vitamin B12 deficiency. 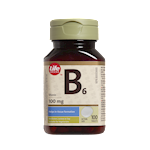 B vitamins play a role in energy metabolism in the body. 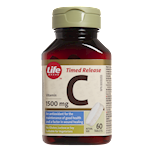 This product contains 0.7 calories and 0.53 mg of sodium per tablet. No gluten, soy, sulphites, yeast, preservatives, artificial flavours or colours. Suitable for Vegetarians. (Adults): Dissolve 1 tablet under the tongue daily or as directed by a health care practitioner. Consult a health care practitioner for use beyond 4 months. Keep out of reach of children. Consult a physician prior to use if you are pregnant or breastfeeding.